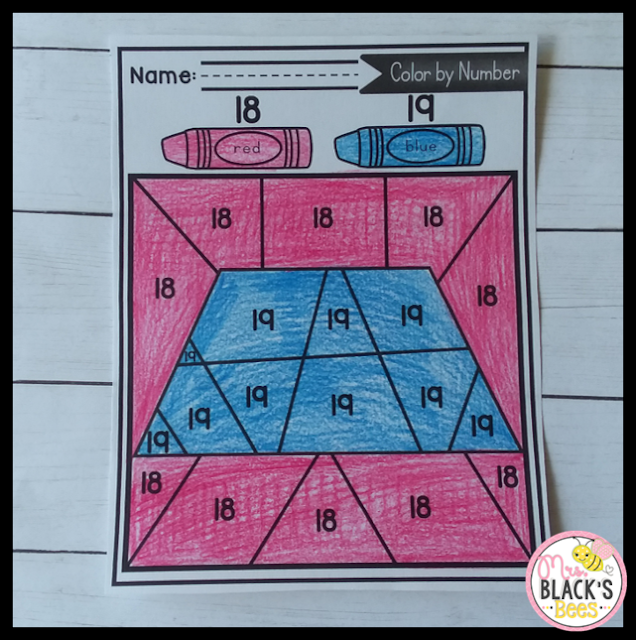 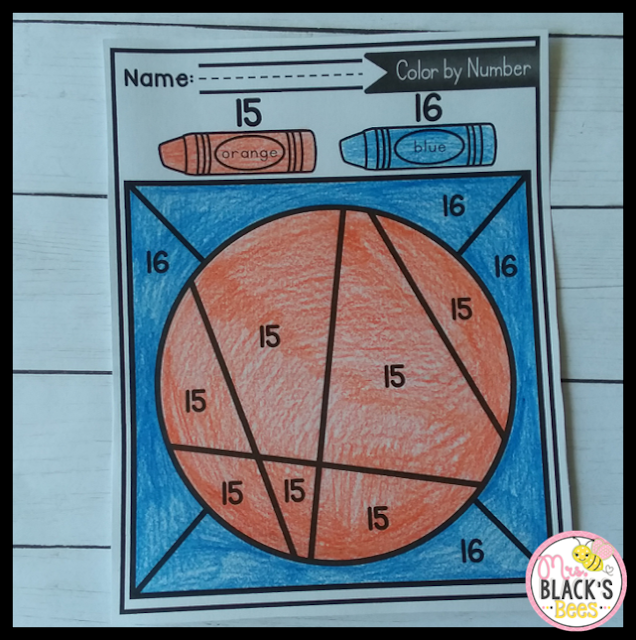 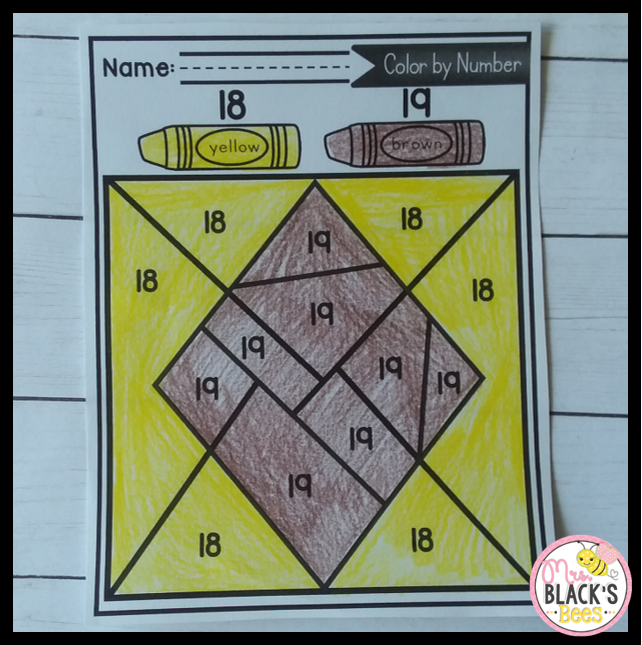 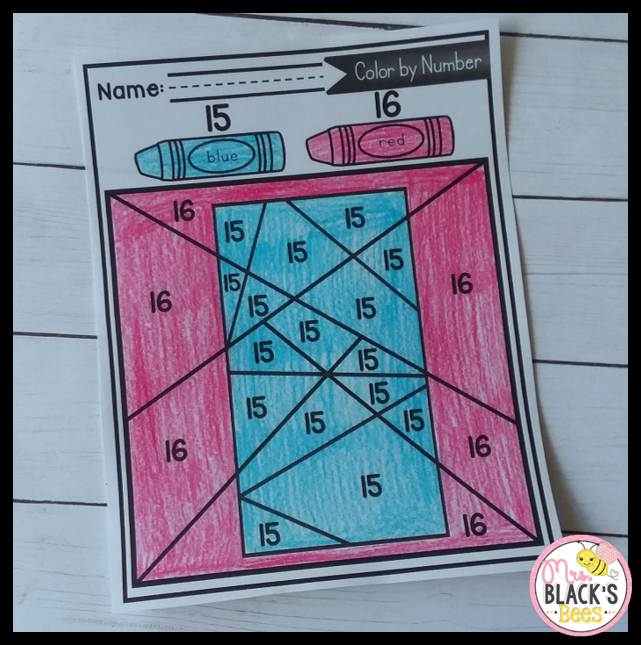 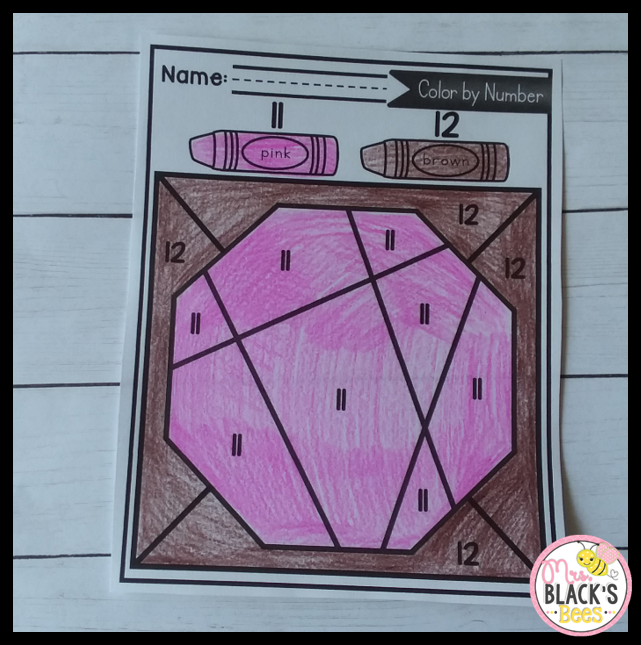 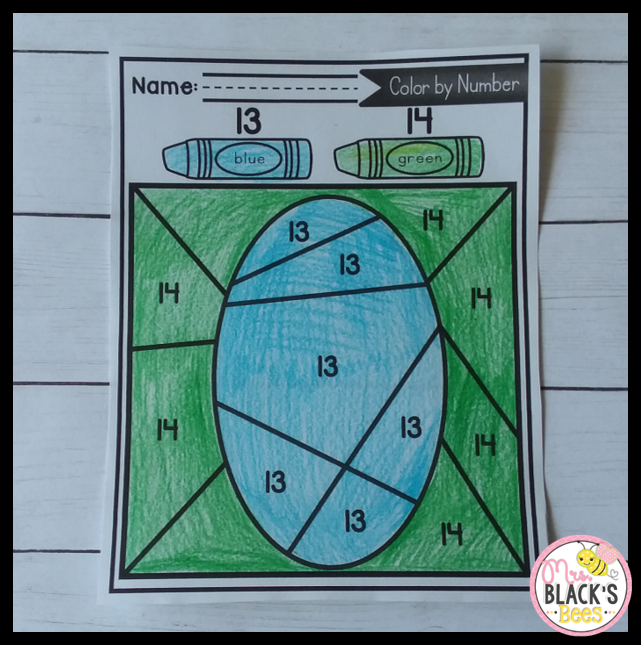 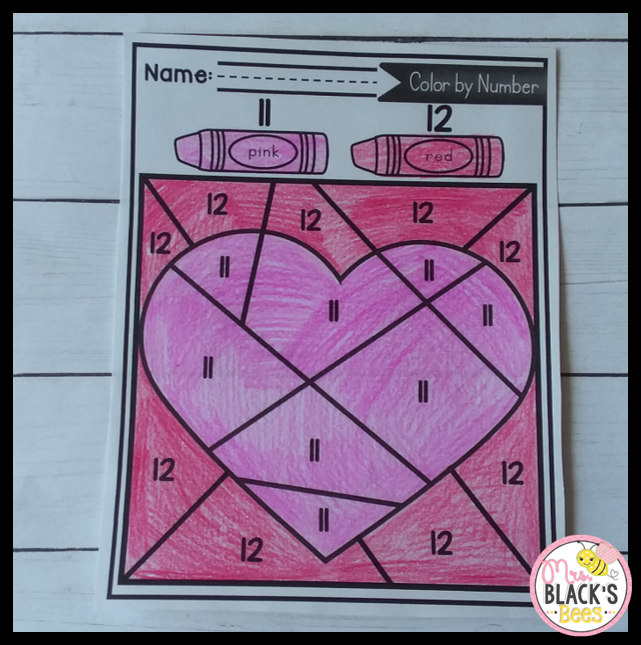 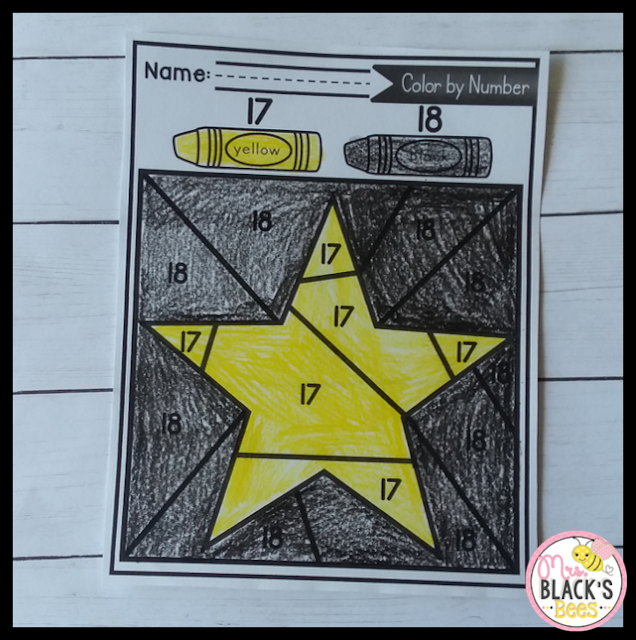 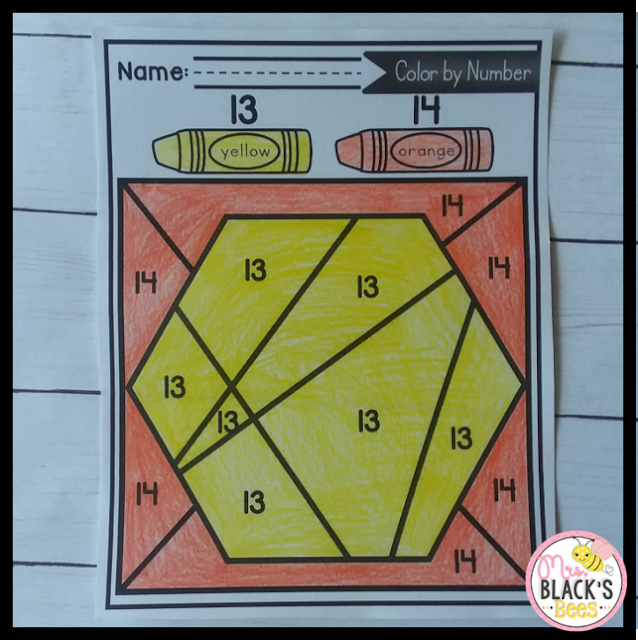 I wanted to share these Color by Number printables with you that are simple enough they can be used during Math centers/stations or are great to have on hand for sub tubs. 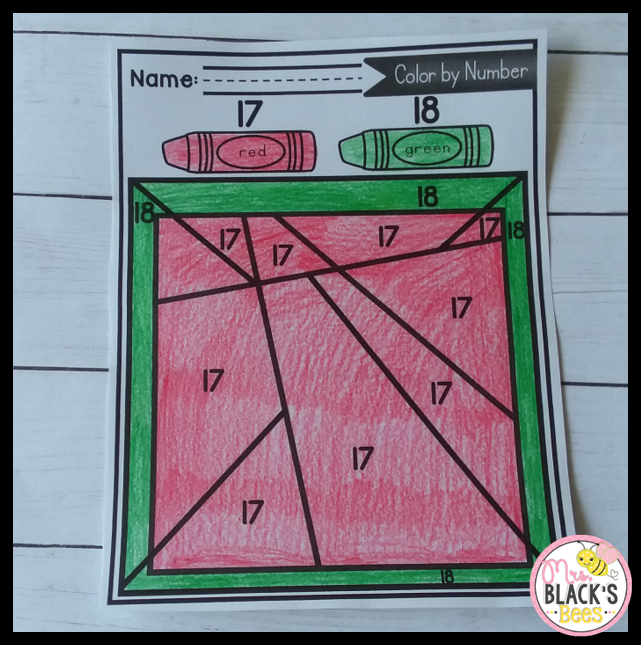 These sheets practice color words, teen numbers and shapes. 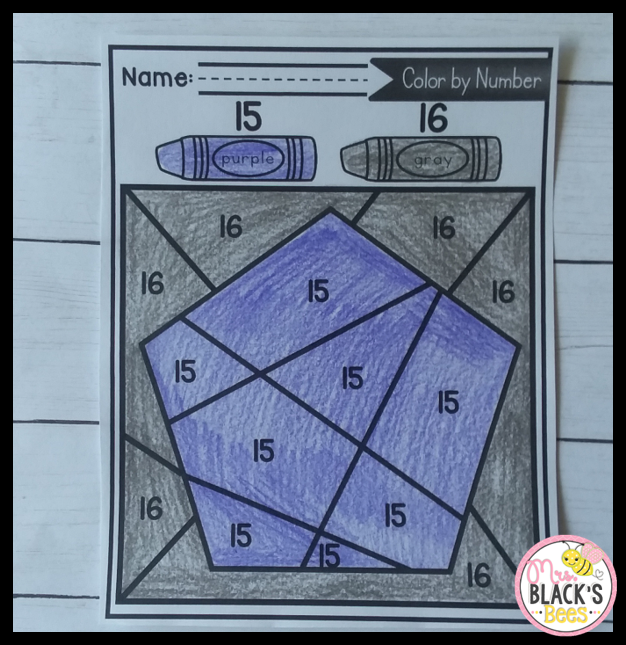 Students color by number to reveal a hidden shape. You can grab these in my store, here.